With the Christmas season fast approaching it won’t be long before rows of houses are adorned with beautiful fairy light arrangements and amusingly colourful scenes. 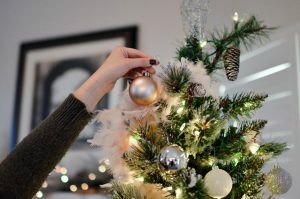 Decorating the home interior is often considered to be a family tradition, with everyone pitching in to create a festive atmosphere as Christmas songs play in the background. For some, however, Christmas decorations become an extension of their own interior design, which can be taken very seriously. 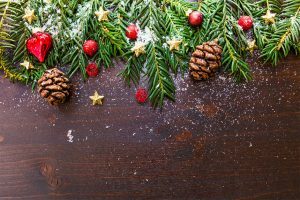 If you aren’t sure where to start with your Christmas decorations this year, or you’re looking for a way to seamlessly integrate decorations into a newly designed home interior, we’ve come up with a few do’s and don’ts that you may want to keep in mind. For the design focused out there, you’ll understand that the key to creating an effortless-looking interior is to carefully consider your colour scheme. Red and green are the traditional choice for a full-blown Christmas feel, but if you’re looking for something a little different why not consider white and blue, or silver and gold? These schemes can look beautifully understated, or fantastically festive. Your home will be filled with personal touches, whether it’s a range of fantastic family photos or even a bespoke piece of furniture handpicked to make the room stand out. 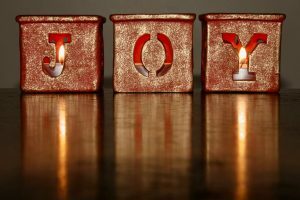 If your Christmas decorations are an extension of your interior, then they should also be full of personal touches. Hand-made decorations or ornaments that have been passed through the generations should be displayed with pride. Christmas is all about spending time with those you love the most, and creating a comfortable and personal environment to enjoy this time is crucial. If you don’t want your home to be full to the rafters with Christmas lights, baubles, and decorations, then it doesn’t have to be. 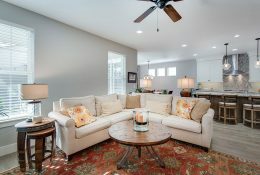 Or if you love the idea of a home filled with decorations, go all out, it’s completely up to you. Your interior design doesn’t stop when you leave the living room, so why should your decorations? To create a truly festive environment, extend into the hallway, kitchen, and even the bedrooms with the use of garlands, tinsel, and lighting. Even the addition of traditionally festive foliage, like poinsettias, holly, ivy, or frosty white flowers will help to create that cosy feeling for Christmas. Don’t forget the wreath for the front door! Obviously, we aren’t suggesting you throw out your current cushions and blankets just to replace them with new, festive, ones. But many people tend to find Christmas themed blankets, cushions, and even tablecloths in their box of decorations. For that extra bit of comfort, why not invest in a brand new sofa perfect for cold nights cosied up in front of the telly? This is an ongoing debate that we’re sure will continue throughout the ages. Do you opt for a fake, or real fir tree? If you’re looking for something easy maintenance that will hold all your decorations perfectly, then you can’t go wrong with a fake tree, and they last for years. For something a little more authentic, that will fill your home with the fresh pine smell, a real tree will look stunning – be prepared to run the vacuum around every few days though, they tend to shed. Now, we understand that these won’t necessarily apply to everyone. Some families like to go wherever the festive creativity takes you, and that’s great! 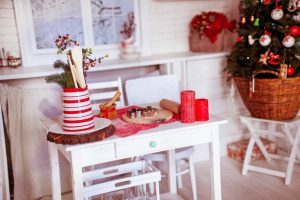 But if you ever feel a little stuck when trying to create the Christmas wonderland of your dreams, these tips will see you right. At Bobbie Burns, we’ve spent years creating beautiful, bespoke furniture to suit a range of interior styles. Visit our website, or contact the Bobbie Burns team today to find out how we can help create a stunning piece of bespoke furniture, designed and built for you.